Okay, I’m back — and thinking about additional pages I want to design for my blog, posts to write, images and quotes to add, even some audio and visual features I hope to create. — Relationships: Between spouses and partners, lovers and friends; between mothers or fathers and daughters or sons. Why do so many of us date or marry people who turn out to be other than what we hope or expect? Is there such a thing as soul mates? Are we destined to repeat the past, or can we heal and learn from it, even transform it into a gift we can bring to others? — Coming-of-age: How do we emerge from childhood to adulthood prepared for healthy, responsible sexual intimacy, without shame or fear, and with respect and value given to our own and others’ bodies and sexuality? If we overcome a lack of information, the effects of myth or bias, repression or abuse, and imbue our experience with more meaning and value, might we engage in more loving relationships, reduce the prevalence of sexual violence, and lessen the pain of abuse and victimization? — The Sixties, The “Sexual Revolution” and “Women’s Lib,” and San Francisco: The era and setting in which my novel-in-progress, The Flying Girl, takes place. I’ll be writing about 60’s politics, the Hippies, the Beat influence, the “Pill” and its effects on sexual morays, the jazz of the Beat era and the San Francisco rock explosion that followed, 60’s counterculture values and spirituality, fashion, and more. Watch for pictures, images, and posts about the real Sixties in San Francisco communicated by people who were actually there. 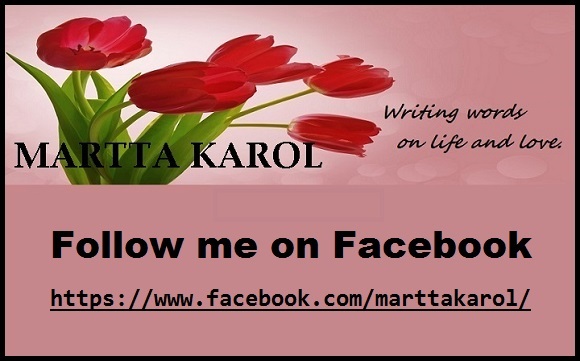 This entry was posted in Becoming A Woman, The Flying Girl, The Sexual Revolution of 1960s, The Sixties in San Francisco and tagged Becoming a Woman, Healing From Abuse, relationships, San Francisco In 1960s, Sixties by Martta Karol. Bookmark the permalink. Thanks! I hope to have some new posts on some of the subjects soon! Engaging topics. I am glad that I found your space where I can hope to grow , share and deal with what ever life throws at me. I am your happy follower! I’m so happy to have you following my blog, Althea. Thank you! I liked your sense of purpose for writing when you said, ” When we tell our stories and they are listened to, and when we listen to other people’s stories, we build community, come closer. We grow in understanding of ourselves and others…”. Plus, I am interested to see the development of The Fly Girl story :). Thanks again, Althea. It’s so wonderful that we can come together with good people around the world when we write and share our thoughts, feelings, and perspectives. I hope I will be able to connect with people through my novel, The Flying Girl, too. It’s a big project, so it will be a while yet, but I’m working on it! Do you ever lay in bed thinking of ideas for you blog? I lay there planning and thinking of ideas sort of like what you are expressing here. Unfortunately, sometimes that interferes with my ability to fall asleep. Yes, my mind can get quite busy when I’m supposed to be sleeping. Sometimes I’m thinking about blog posts or articles I want to write, or coming up with ideas for my novel-in-progress. I know what you mean about such thoughts interfering with sleeping, but on the other hand, who wants to sleep when the creative juices are flowing? Of course we pay for it the next day, don’t we. Thanks for your comment. I see you have a blog, too. I’ll check it out. Martta, that’s exactly what I do. My creative juices flow when my head hits the pillow. That’s when I get my best ideas. That’s neat that you are working on a novel! Yes, the novel is my primary focus right now. All the topics I write about on my blog site are in some way related to the subject matter of my novel. That is very cool, Martta! It’s an exciting project! My sister just published a book. Thanks, Mireilles. And congrats to your sister!